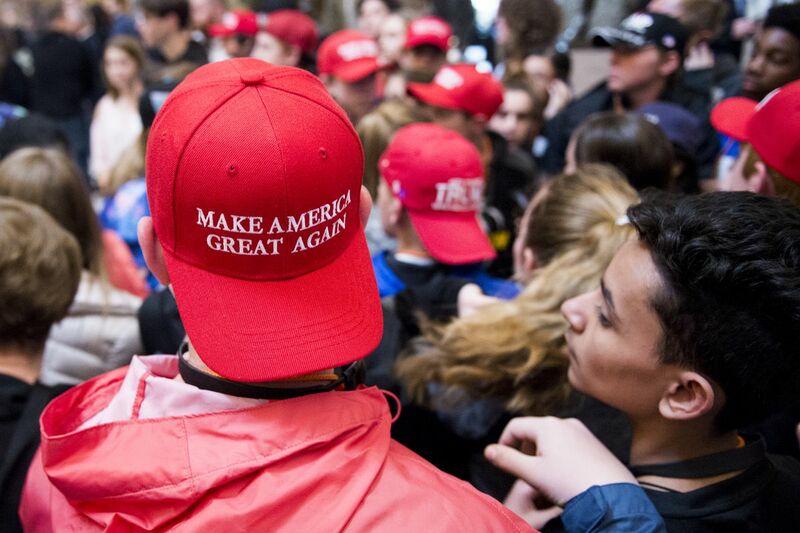 America was left bitterly divided after a decontextualized video went viral last weekend portraying a group of MAGA-hat-wearing Catholic high school students as unabashed racists having the time of their lives mocking a drum-beating Native American in front of the Lincoln Memorial, but the truth turned out to be very different than how the situation was originally presented. What really happened is that these high school students were waiting for their chaperones after participating in the March for Life anti-abortion protest but were verbally abused by members of an African-American cult called the “Black Hebrew Israelites” who hurled racist, religious, and homophobic insults at them while predicting that they were all on the brink of carrying out America’s next school shooting. Unmoved by the hateful rant coming from this small group of provocateurs, the students started doing school chants in order to drown out the racists, and it’s in that context that Nathan Phillips moved in with his drum. Video footage from the “Black Hebrew Israelite” cult itself proved that Phillips determinedly approached the students while incessantly beating his drum, which they at first thought was a sign of solidarity with them but soon realized was some sort of passive-aggressive act after he singled out Nick Sandmann and epically stared him down when the boy wouldn’t move out of his way and let this stranger into his crowd of colleagues. Sandmann’s smirk has since become famous because his supporters saw it as a peaceful act of defiance in the face of unprovoked hostility while his opponents claimed that it somehow evinces signs of “racism” or at the very least “cultural condescension”. Whatever one’s personal views are about this event, the fact of the matter is that the video footage shows an altogether different chain of events than what Phillips himself said happened and that the Mainstream Media jumped on the fake news bandwagon before eventually distancing itself. The reason why the fake portrayal of what happened went viral is because the Mainstream Media’s “confirmation bias” was triggered when they saw what they wanted to believe were racist MAGA-hat-wearing Catholic Christian teens taunting a defenseless Native American senior, but since that’s not what happened they want to suppress the story as much as possible because the truth is that the only racists caught on tape were the “Black Hebrew Israelite” cult members who spewed some of the most condemnable hate speech imaginable but are getting a free pass from the Mainstream Media because of their race. That’s actually the biggest problem with this story because racism should always be condemned no matter who the racist or their victim are, and there shouldn’t ever be any double-standards implemented for the sake of so-called “political correctness” to sweep one racist statement under the rug because of “narrative convenience”. That’s an injustice if there ever was one to every victim of racism. Another less prominent issue that many folks have with how the “MAGA hat scandal” was initially reported was the Mainstream Media’s presumption that Nathan Phillips was telling the truth and was innocent of any wrongdoing just because he’s a Native American whose people were previously abused throughout US history. It turned out that he lied about the students chanting “build that wall”, and they also didn’t surround him and prevent him from leaving, yet he was unquestionably believed without anyone even trying to contact the students involved because the liberal media couldn’t countenance the idea of someone in his “identity category” making up a story for publicity. The lesson to be learned is that everyone had the constitutional right to do what they did that day in front of the Lincoln Memorial, but an adult should never lie about the actions of innocent children and try to ruin their lives just because they were wearing hats that he disagreed with. The Mainstream Media should have known better, but it’s also not surprising that they didn’t.